We offer a full spectrum of waxing services for our clientele and provide a comfortable, private room for your appointments. We use a combination of strip wax and hard wax to cater to the different areas of the body and our clients skin/hair types. Our Junior prices are $5.00 less for services above $25.00. Brow clean up or reshape. You will have the option to use hard wax or strip wax, depending on skin & hair types. Waxing the top and/or bottom of the lips or chin. Why not do it all at once? Includes lips, chin and brows. Waxing the top and/or the bottom of the lips and chin. Taking all the hair off the legs starting at the top of the thigh to the ankles (including the toes). We use strip wax for a fast & efficient service. Top or bottom half of the leg. Starting from the top of the thigh to under the knee, or top of the knee down to the ankles (including toes). During this service we use strip wax. Taking all the hair from the top of the shoulder to the fingers. We use a strip wax for this service. Removing all of the hair from under the arms, getting you tank top ready. Rose hard wax or Strip wax is used depending on skin & hair type. The "Lash Lift" is an eyelash procedure that curls, lifts and shapes natural lashes. Your lashes are extended upwards from root to tip, creating a longer lifted appearance that opens up the eyes. The "Lift" lasts between 6 to 8 weeks. 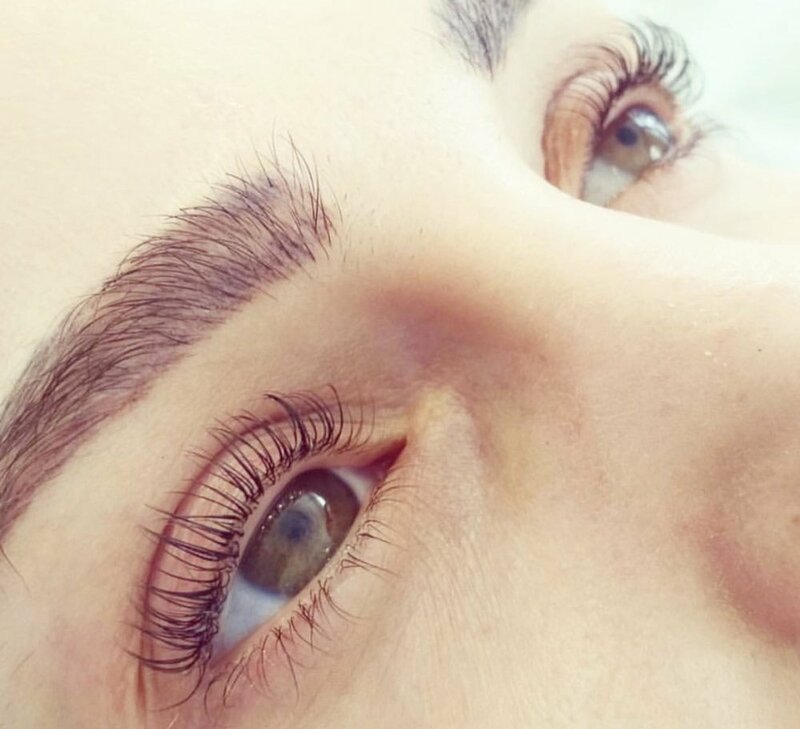 The procedure takes 45 minutes and leaves you with beautifully curled lashes, say goodbye to that eyelash curler you won't be needing it anymore. Must only be booked after 6 - 8 weeks between appointments. Whether you have light or dark lashes, tinting your eyelashes will leave your lashes looking longer and more full. This combination will give you the full effect of beautifully curled, dark lashes. Tint your hairs to create a fuller brow. Book them together, get a deal! A natural sculpted gel nail. A thin layer of sculpted gel over your original nail bed (no extension), strengthens and grows out the length of your natural nails. Please note, we will only be able to services to nails that are healthy enough to receive treatment. We reserve the right to refuse services if there are concerns about health and sanitation. The health of your nails is our primary concern and it may take 2-3 appointments to reach your goals. Unsure of any of the above and have questions? Just give us a call! 250 385 6277.